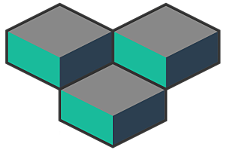 LXDock is a wrapper around LXD that allows developers to orchestrate their development environments using a workflow similar to Vagrant. It's fast. LXDock is much much faster than a typical Vagrant + Virtualbox setup. Multi-arch. Vagrant has been designed with Virtualbox and x86 in mind. Even if you use alternative providers, you’re going to have to jump through inelegant hoops to have your Vagrantfile work on x86 and arm (for example) at the same time because the very concept of a Vagrant box is arch-specific. Simpler. When working with containers, much of the complexity of Vagrant becomes useless. Why the need for special "vagrant-prepared" boxes when lxc exec is available? It's much simpler to use whatever images are provided directly by LXD. By removing the need to manage boxes, LXDock suddenly becomes much simpler (a simple wrapper around lxd, really). © Copyright 2017, Virgil Dupras, Morgan Aubert. Revision 64e15d0d.